Bergsbrunna is a neighborhood in Uppsala, the area belongs to Southeastern city, located 7 km from the center of Uppsala. Bergsbrunna included in the urban area Sävja. Railway Uppsala and Stockholm pass through Bergsbrunna. Until the 1970s, the trains stop at Bergsbrunna railway station, this station is now closed. Bergsbrunna is a residential area, with primary school Uppsävjaskolan. 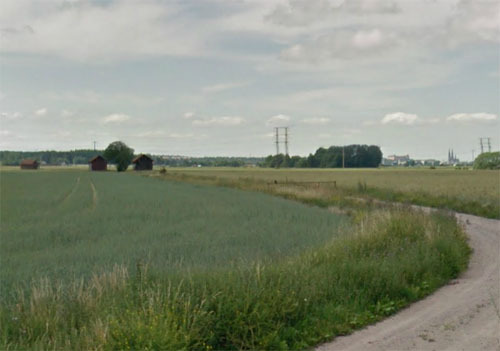 Secondary school is in nearby Sävja S.
Bergsbrunna was the former site of the village of Ekeby in the parish of Danmakrs Socken, at the earliest spoken of 1347 (‘the Ekeby’), then Archbishop Hemming and chapter house in Uppsala switched to a farm here. 1349 changed Birger Jonsson Job (fool’s head) in Uppsala remove ground in Ekeby to the cathedral, which was added to the 1347 acquisition. 1376 had Uppsala Cathedral five landbor in Ekeby. 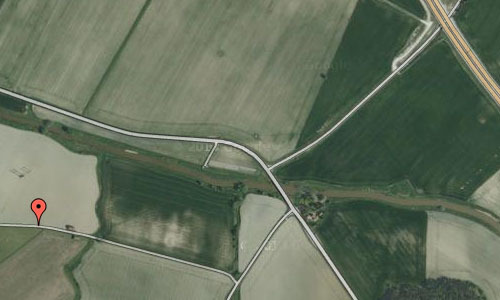 Ekeby Included 1541-68 a tax assessment unit, three St. Erik Homestead and two prebendehemman. After the railway’s arrival came Bergsbrunna from the late 1800s to become an important center for the brick industry. Three brick factory has been in Bergsbrunna, the last of these, Bergsbrunna North brick factory was closed down in 1984. 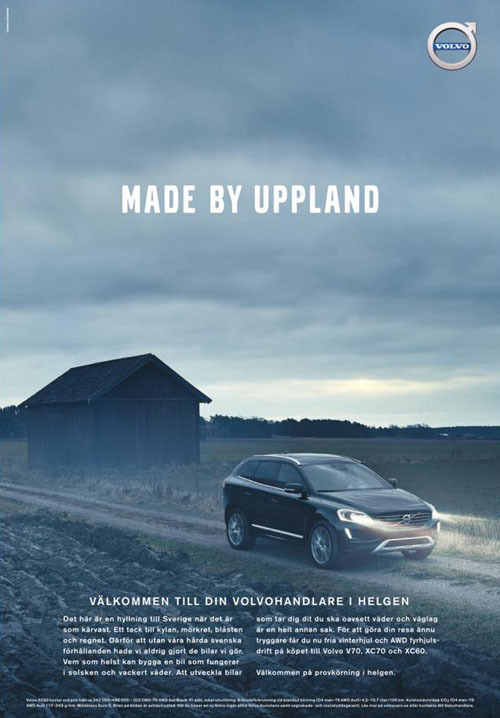 Uppland is a historical province or landskap on the eastern coast of Sweden, just north of Stockholm, the capital. It borders Södermanland, Västmanland and Gästrikland. It is also bounded by lake Mälaren and the Baltic sea. 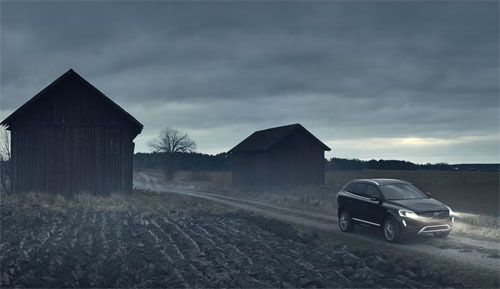 It has an extremely short and strangely shaped land border with Åland, an autonomous province of Finland, on the small uninhabited island of Märket in the Baltic. 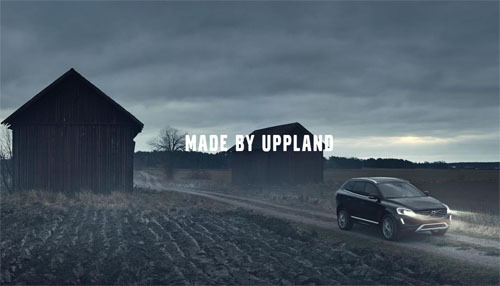 2015 – Made By Sweden – Made By Uppland – Volvo Sweden 2015 winter campaign. The name literally means up land, a name which is commonly encountered in especially older English literature. Its Latinised form, which is occasionally used, is Uplandia. The traditional provinces of Sweden serve no administrative or political purposes, but are historical and cultural entities. The corresponding administrative county, or län, is Uppsala County, which occupies the larger part of the territory. The bulk of the population, however, is within Stockholm County. Minor parts of the province are also in Västmanland County, Gävleborg County and Södermanland County. Arms granted in 1560. Historically Uppland ranked as a duchy and the coat of arms is represented with a dukal coronet. Blazon: “Gules, a Royal Orb Or gemmed of the field and Azure with the cross bottoned Argent.” Despite the fact that the Uppsala län has a different name and a smaller territory it was granted the same coat of arms in 1940. Uppland was historically divided into chartered cities and districts. Within Roslagen they were called skeppslag (which roughly means “ship district”), and in the rest of the province hundreds. The abovementioned districts and cities have no administrative function today. More information at sv.wikipedia.org, www.upplandia.se and http://visituppland.se/.